By the number of aspirants, PDP has a handful. The party, therefore, has an arduous task to pick a candidate from among these aspirants. In the PDP, Alhaji Atiku Abubakar, two-term Vice President of Nigeria, is one of the aspirants. A pioneer member of the PDP, Atiku was a presidential aspirant in the defunct Social Democratic Party (SDP). In the current democratic dispensation, he won the governorship election in Adamawa State in 1998, but resigned before being sworn in, to become former President Olusegun Obasanjo’s running mate. He was elected Vice President with Obasanjo as President in 1999 and functioned in that office till 2007. He dumped the PDP in 2007 for the Action Congress (AC) on whose platform he vied for the presidency. At the election, he came third behind the late President Umar Yar’Adua and President Muhammadu Buhari. He returned to the PDP to contest the party’s presidential ticket in 2011, which he lost to ex-President Goodluck Jonathan. He was to dump PDP again for the All Progressives Congress (APC) in 2015, but failed to realise his presidential ambition. He is back in PDP. Another aspirant is Alhaji Ahmed Makarfi, two-term governor of Kaduna State (1999- 2007) and two-term senator (2007-2015). He has been in the PDP since he joined the party from inception. He was interim national chairman of the PDP at its trying time, during the Alhaji Ali Modu Sheriff saga. Alhaji Kabiru Tanimu Turaki, former Minister of Special Duties in the administration of President Jonathan, is also in the race for the PDP ticket. A lawyer and Senior Advocate of Nigeria, he has been going round the country consulting and mobilising support for the aspiration. Yet another aspirant is Alhaji Rabiu Kwankwaso, two-term governor of Kano State (1999-2003) and (2011-2015). During his first term as governor, Kano was one of the states that promoted Sharia law. A former Minister of Defence, he was one of the governors and bigwigs of PDP who rebelled against the party in 2015. He joined the APC, contested and lost the party’s presidential ticket and helped the party to not only dismantle a PDP presidency but also delivered the highest number of votes from one state to President Buhari. He eventually contested the senatorial election in 2015 and won on the platform of the All Progressives Congress (APC). His romance with APC ended a few weeks ago, when he returned to PDP. Another presidential candidate in PDP is Alhaji Sule Lamido, two-term governor of Jigawa State (2007-2015) and foundation member of the party. A former Minister of Foreign Affairs under the Obasanjo government, Lamido was one of the governors who, in 2015, expressed disenchantment in PDP and subtly opposed the candidacy of Jonathan. However, while five governors among those who rebelled dumped the PDP for APC, Lamido remained with the party. Ex-governor of Sokoto State, Attahiru Bafarawa, is another presidential aspirant in the PDP. A foundation member of the All Peoples Party (APP), which later became the All Nigeria Peoples Party (ANPP), he held sway at the Sokoto State Government House from 1999 to 2007. During his reign as governor, Sokoto State was one of the 12 states that implemented Sharia law. At that time, the case of Safiya Hussaini, the woman who was sentenced to death by stoning, by a lower Sharia Court for having a child out of wedlock, was controversial. Safiya was eventually set free by an upper Sharia court, following which the Minister of Justice at that time declared Sharia unconstitutional. Bafarawa had said the state would not accept the minister’s position. Out of Government House, Bafarawa founded the Democratic Peoples Party (DPP) in 2017 and contested on its platform as presidential candidate. Gombe State governor, Ibrahim Dankwambo, is another presidential aspirant. An accountant by profession, he is completing his second term as governor. He served as accountant general of the federation, among other jobs he did in the financial sector, before going into politics. The other PDP members who are considering running for President are Senate President Bukola Saraki and Governor Aminu Tambuwal of Sokoto State. They are both returnees to the PDP, having left in 2015 to work for the APC. Saraki is a two-term governor of Kwara State (2003-2011) and a ranking senator, as he is serving a second term. He was chairman of the Nigerian Governors’ Forum during his tenure as governor. A medical doctor, he was a Special Assistant to Obasanjo. Saraki left the PDP in 2015 for the APC, where he contributed to the ouster of Jonathan for Buhari’s presidency. He became Senate President against the wishes of the APC leadership. His fight with his father in 2011 over who would be governor will ever be remembered. At that time, while his father, Chief Olusola Saraki, an ex-Senate leader, wanted another of his children to take over, Bukola supported Governor Abdufatah Ahmed as successor. In that epic political battle between father and son, the PDP, nay, Bukola Saraki won. Tambuwal is serving his first term as governor of Sokoto. He was Speaker of the House of Representatives from 2011 to 2015. In fact, his emergence as Speaker was dramatic. The PDP leadership had anointed another House member for the post of Speaker but Tambuwal defied the party, contested for the post and won. A lawyer, Tambuwal first worked as Personal Assistant on Legislative Affairs to Senator Abdullahi Wali, then Senate Leader, from 1999 to 2000. He won the House of Representatives election in 2003 on the platform of the ANPP. He joined the Bafarawa-led DPP thereafter, but dumped the party and returned to the ANPP a few months to the 2007 elections when he was denied a ticket. He dumped the PDP in 2015 for the APC to realise his governorship ambition. He is back in PDP. It is possible that some others would join the presidential race in PDP. By the number of aspirants, PDP has a handful. The party, therefore, has an arduous task to pick a candidate from among these aspirants. 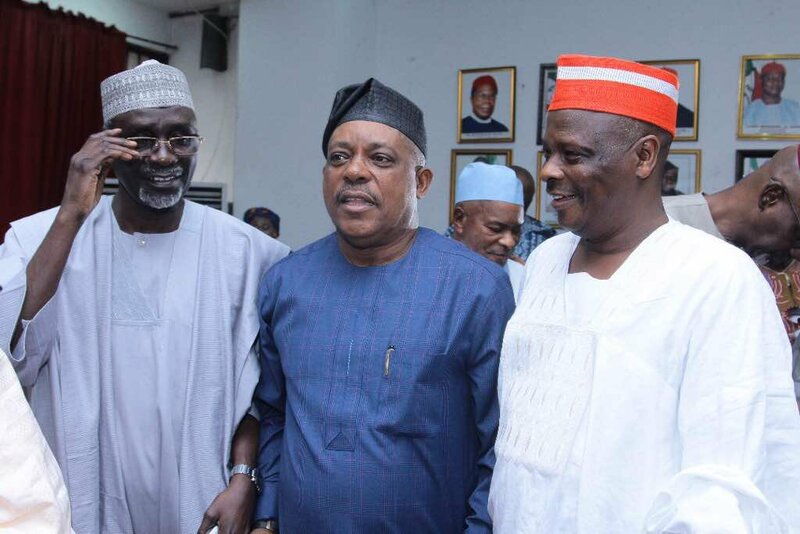 One thing that is clear is that all the aspirants are from the northern part of the country, since the PDP zoned the presidency to the North in next year’s election. The credentials of the PDP aspirants show that most of them are professionals. Also, most of them have been in government, having served as minister, governor or senator. However, what would make the difference are character, orientation and idiosyncrasies of the candidates. It is not about the age of the aspirants. Whether young or old, ability and capability are some of the things to look out for. There are old people who are not only abreast of things but also knowledgeable about contemporary matters, just as there are young people whose ideas are archaic and out of fashion. The PDP should not make the mistake of picking a candidate who is a duplicate of Buhari or the other side of the coin, in terms of worldview, disposition and character. It needs a candidate who is exposed, experienced, cosmopolitan, progressive, nationalistic and not parochial. It does not need a northern irredentist as candidate. It needs a candidate whose name resonates across the country, not one known mainly in the North. It needs a candidate who has made impact at the national level and who is not immersed in controversy or has encumbrances. Most importantly, it will pay the PDP to ensure a free and fair contest, so that whoever emerges would be seen to be the true choice. It should also endeavour to get the aspirants to agree, before the party’s primary election, that they would accept the outcome of the election and support whoever emerges the presidential candidate. They should agree not to rock the boat over presidential primary election result. For 2019 election, PDP has no credible platform hence there is no single credible candidate. PMB is far more useful to the Nigeria of today, than all of them put together. Atiku remains the most prepared in the area of jobs creation.